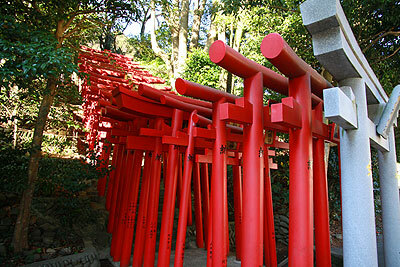 Do you know what torii is? 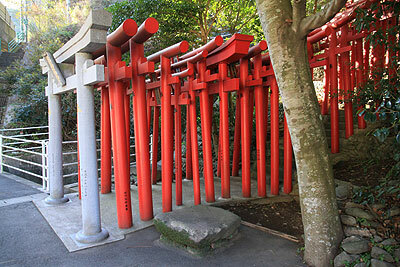 It’s a gateway at the entrance to a Shinto Shrine. 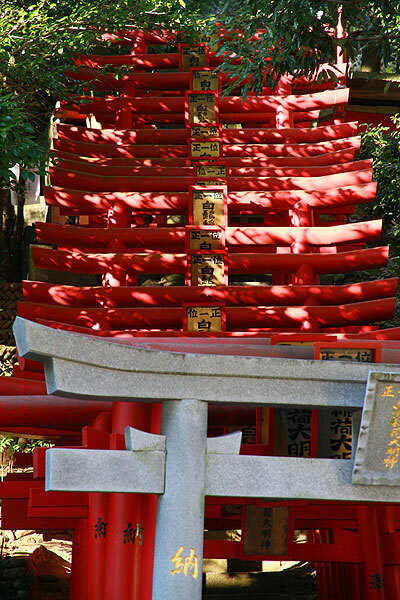 Torii marks the transition from the sacred (the shrine) to the profane (the normal world). 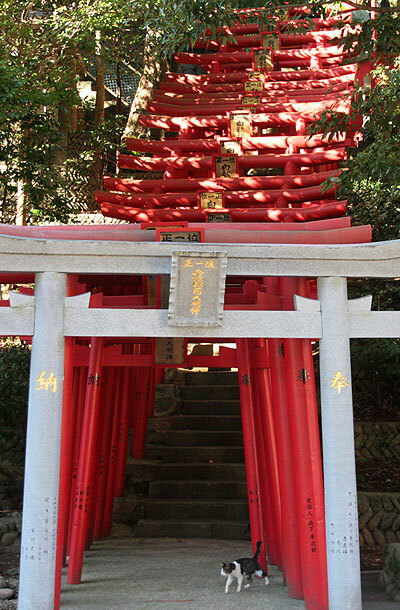 This red gate can be easily found any shrine in Japan. 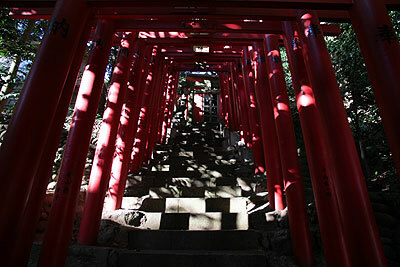 It’s usually built one or a few on an approach to a shrine, but at this shrine, there are tremendous number of torii on the approach. These are the pictures I found on a website. Unfortunately, the website doesn’t tell which shrine this is. It says there were a lot of cats and that’s all it says.